Give your text that total knockout effect! Learn how to transform lettering into fantastic dimensional objects with this knocked over 3D vector text effect. Great for text art and print media. 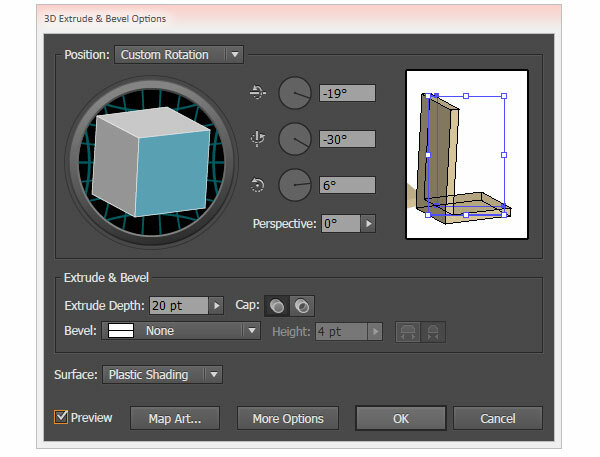 To start out our knocked over vector text tutorial, open Adobe Illustrator CC and create a New Document. Choose a narrow sans-serif font, such as Nexa Light seen below, and use the Type Tool (T) to write out your text. Choose your color palette for your piece. 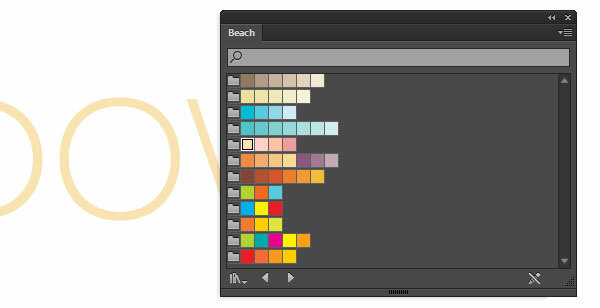 I’ll be choosing colors from the Beach pallete found within Adobe Illustrator’s default Swatch Library. Arrange your letters so they look as though they’re gathered near each other on the same plane. Adjust the placement and angle of each letter so they look as though they’re scattered around the same table or surface. 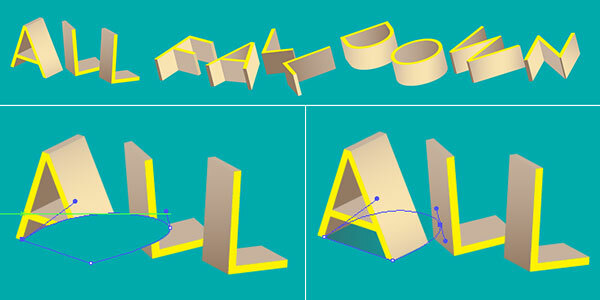 Going letter by letter, make sure that each 3d vector text letter is Expanded under Object. Then, make sure that each plane within each letter has been United in the Pathfinder panel. Choose a bright color for the front face of each letter. I chose a bright sunny yellow. Vary the tone of each plane. 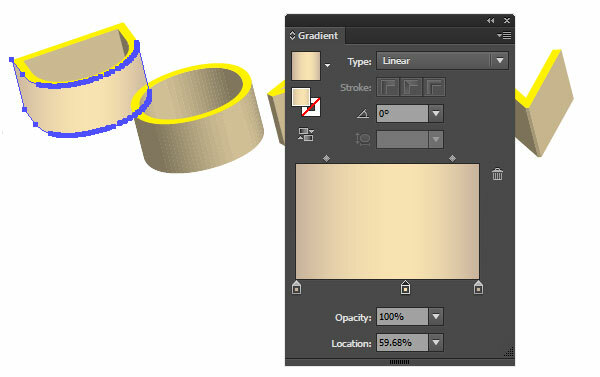 Rounded sections benefit from Linear Gradients applied with the Gradient Tool (G) and adjusted within the Gradient panel. I started with the tones created with the effect and adjusted them with my palette noted earlier within the tutorial. You want each plane and each gradient to be clean and smooth. 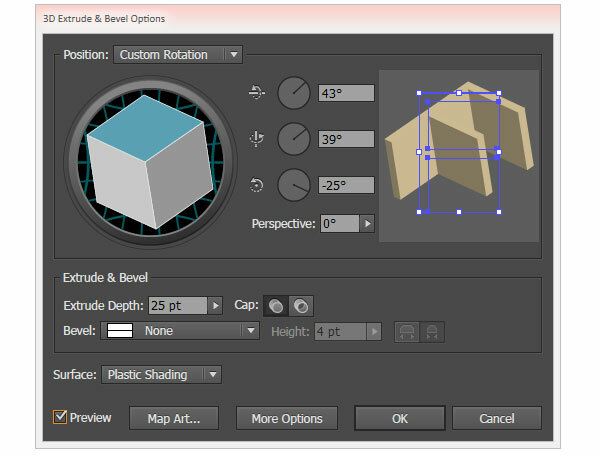 Once you’ve adjusted the colors and gradients of each 3d vector text letter, use the Pen Tool to draw shadow shapes beneath some of, or even each of, the letters. Set the gradient to your background color and a darker shade of that color (I chose teal and dark teal). Adjust the gradient’s angle with the Gradient Tool so the shadow’s darkest part is beneath the letter and moves outward in accordance with the lighting of your overall piece. Well done you! 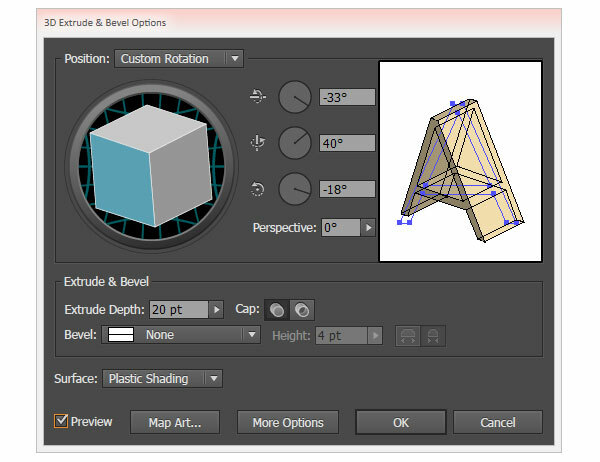 Now you’ve got the tools and techniaues to create an assortment of knocked over 3D vector text letters scattered across your screen. 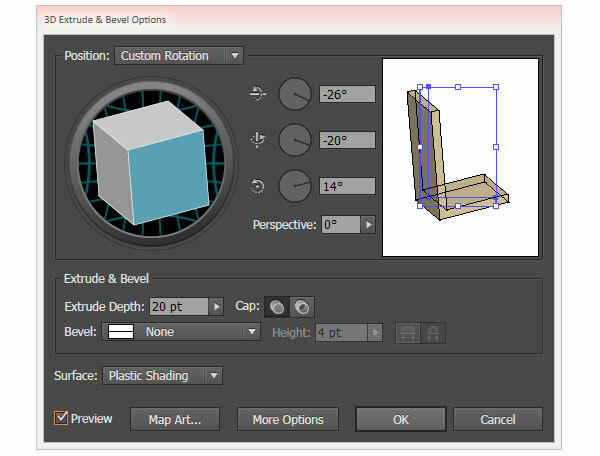 Share your results in the comment section below and stay tuned for more fantastic tutorials.